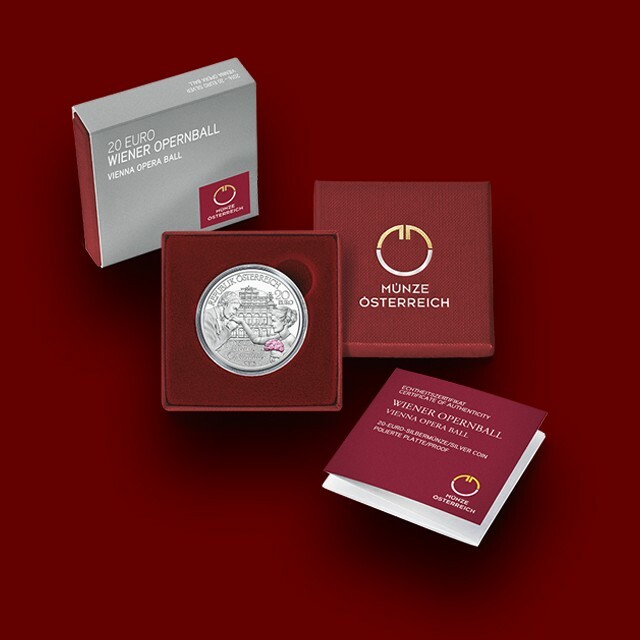 20 g, Vienna Opera Ball Silver Coin 2016 - Moro & Kunst d.o.o. 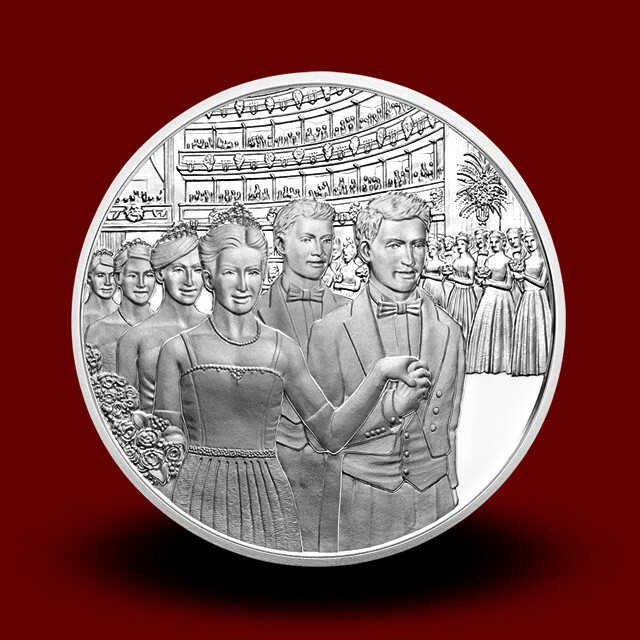 Silver coin is a nice gift for all romantics and opera lovers. re-established in 1956 in its original home, the newly re-opened Vienna State Opera, where it has remained ever since. One of the highlights of the Vienna Opera Ball is the opening, which includes dance performances by the Young Ladies and Young Men's Committee. This is shown on the coin’s reverse, while the coin’s obverse features a young lady holding a raspberry red bouquet as a young man kisses her other hand. The addition of colour both brings the flowers to life and adds a touch of magic to this dazzling memento of a truly dazzling event.